Hello friends. 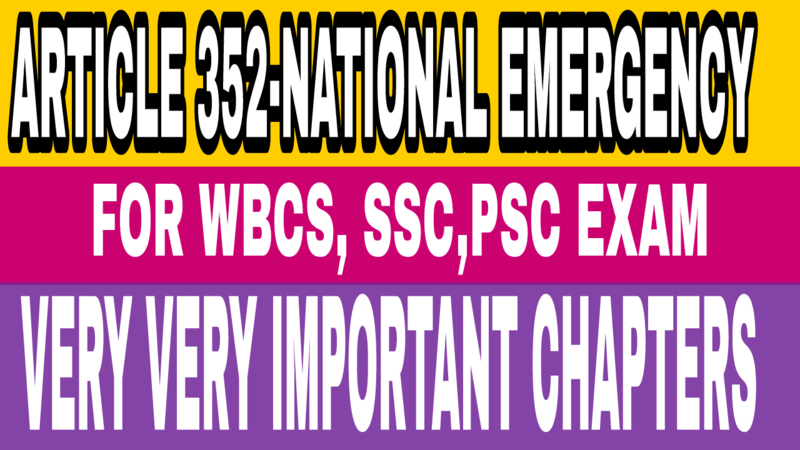 The topic for today that I am going to discuss is ‘National Emergency’ under Article 352 of the Indian Constitution. REMEMBER that it is only the clauses of article 352 that I am explaining in this article. The ‘Grounds of Emergency’ and ‘Effects of Proclamation of Emergency’ will come in further articles. So let’s start! (i) War- a violent struggle between two countries with the use of armed forces. It also includes when a country has made a formal declaration of a war against India. (ii) External aggression- It is a wide term and has wide meanings. It generally refers to attacks with force by one state against another state without formal declaration of war. (iii) Armed rebellion- Opposition to one in authority or dominance. In simple words, when a large number of people goes against the Indian Government with arms, then it is a state armed rebellion. 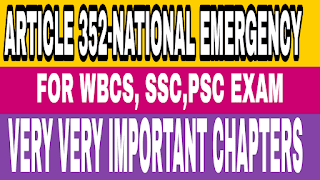 (b) The president shall make a proclamation of Emergency in respect of the whole of India or any part of India and he has to specify that in the proclamation. The president can vary or revoke the proclamation made under clause (1) by a subsequent proclamation. (i) The proclamation must be passed by both the houses of parliament i.e., Lok Sabha and Rajya Sabha within one month. Within one month both the houses of parliament must approve or else it shall cease to operate after expiration of one month. regarding the proclamation, and the rajya has given its approval regarding the proclamation, then the proclamation shall remain valid for another 30 days starting from the date on which the lok sabha first sits after its reconstitution. This provision is made with an assumption that the rajya sabha had already passed a resolution regarding the proclamation. For eg.- If lok sabha dissolves on 30 th May and after reconstitution it sits on 10 th June, then the proclamation shall be valid for the next 30 days after 10 th June i.e., 9 th July. (i) The proclamation of emergency shall remain in force for 6 months once approved by parliament. For further continuance beyond 6 months, approval of parliament would be required every six months. (ii) If before giving the approval regarding further continuance of emergency the lok sabha dissolves, but it has been approved by the rajya sabha, then it must be approved within 30 days starting from the date on which the lok sabha sits after fresh election. After 30 days, it shall cease to operate. (ii) atleast 2/3 rd majority of the members present and voting of that house. The president shall revoke a proclamation issued under clause clause (1) or a proclamation varying such proclamation if the lok sabha passes a resolution disapproving such proclamation or the continuance in force of such proclamation, as the case may be. A special sitting of the house shall be made within 14 days from the date on which such notice is received by the Speaker, or as the case may be, by the President, for the purpose of considering such resolution. The power conferred on the President by this article shall include the power to issue different Proclamations on different grounds, being war or external aggression or armed rebellion or imminent danger of war or external aggression or armed rebellion, whether or not here is a Proclamation already issued by the President under clause (1) and such Proclamation is in operation. So that’s it guys. Hope you like it.